I am sure you can remember a time in adolescence when you challenged parental authority, thus showing your desire for independence. The age when parents feel comfortable leaving a child alone is quite personal and varies on a family-to-family basis. It not only depends on the maturity level of the child but also on the environment the child is growing up in. However, some parents with older children feel they need the security of a childcare provider to help them during after-school hours. Those parents who work may need a full-time childcare provider to help the child get off to school in a timely manner and to be there for any school closings, holidays, vacations, or schedule changes. Can my child get to school with us or by himself/herself? Would a chaperone be a great asset to our household? What is our family plan for school closures (scheduled holidays and vacations as well as unscheduled snow days, illnesses, or other surprise issues)? Does my child go directly to after-school activities that he or she can walk to, or is a helper needed to get him or her safely from one place to another? Does my child need help or encouragement with completing homework assignments, or is my child self-sufficient? Could my older child benefit from having a buddy or a mentor? Some parents hire a nanny or sitter for older children just to give their children companionship and themselves piece of mind. Because a caregiver to an older child does not have to be burdened with diaper changes, feedings, or tummy time, parents may want to consider hiring someone the child respects yet can view as a friendly authority figure. Ask any potential childcare candidates if they have experience taking care of older children. Additionally, make sure they are comfortable with taking older children to school and various activities in addition to supervising them in the home. Parents should clearly define the caregiver’s roles and perhaps even discuss caregiver responsibilities with the older child so that everyone is on the same page. Together, the parent and child could come up with a road map detailing how the caregiver’s hours are spent. This way, the older child feels a sense of independence for acting as a critical member of the caregiver selection process and may not be as resistant to an extra household helper. Is the caregiver willing and able to monitor the child’s completion of his/her homework each day/night? Can the caregiver review the child’s work for errors or suggestions? Can the caregiver quiz the child for upcoming tests? Will the caregiver be able to get the child to and from school and extracurricular activities in a safe and timely manner? Is the caregiver comfortable using various means of public transportation with your child (buses, trains, subways, ferries, and so on)? Is the caregiver willing to walk with your child to and from school or activities? Does the caregiver know the geographic area you live in well? Can the caregiver follow street directions accurately? Will the caregiver ensure your child gets to his or her destinations safely and on time? While the child is at school or busy with an activity, will the caregiver tackle household chores such as light cleaning, dusting, vacuuming, and laundry? If the child selected some quick, easy, and healthy recipes, would the caregiver be able to make them for lunch or dinner? If you provide the funding, will the caregiver run household errands such as picking up the family’s laundry at the dry cleaners, returning library books, dropping off packages at the post office, selecting birthday gifts, or picking up groceries while the child is not at home? Parents may want to purchase inexpensive and easy craft projects or a craft idea book to keep in the home for the caregiver and child to do together. Can the caregiver keep the child off of electronic devices by encouraging him or her to read, play a board or card game, or engage in a healthy physical activity? Will the caregiver engage in sports with the child? New York-based working mother Kristen Duca and her husband are the parents of two girls. She has worked in the financial services industry for two decades in addition to serving as a contributing writer for New York area publications. She is the author of “Ultimate Nanny: How to Find, Interview, and Manage the Most Important Person You Will Ever Hire – Your Child’s Nanny” available on amazon.com now. UltimateMama loves her birthday cake alternative — chocolate fondue! 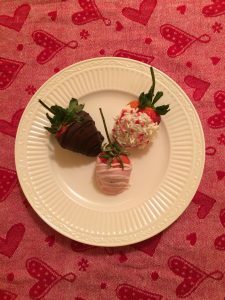 It is decadent, easy, and fun for the whole family (regardless of age). UltimateMama served it with marshmallows, strawberries, and bananas. Other great dipping accompaniments include pineapple, apple, and angel food cake (or pound cake)! UltimateMama unveiled her new author homepage on amazon.com today! 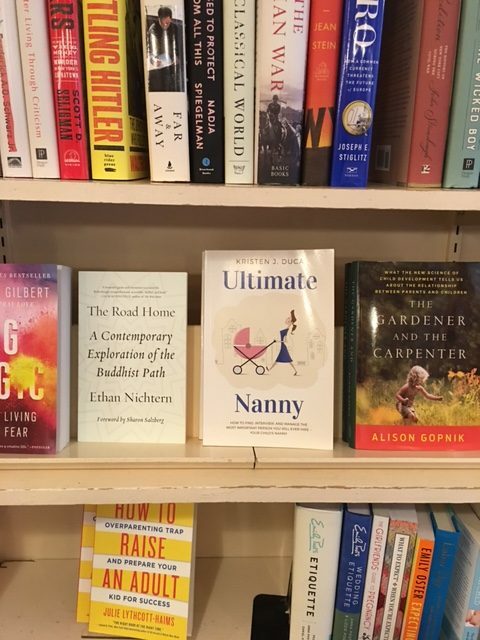 Check it out and purchase my book Ultimate Nanny: How to Find, Interview, and Manage the Most Important Person You Will Ever Hire — Your Child’s Nanny today. Everyone on Manhattan’s Upper East Side can find it in The Corner Bookstore as well! Paczki Day is today, the Tuesday before Lent begins, or “Fat Tuesday”. Celebrate your Polish pride by indulging in deep-fried dough with sweet fillings covered in powdered sugar, similar to an American doughnut or donut. All those in Manhattan who cannot make it out to Greenpoint, Brooklyn TODAY are advised to hit up Fairway Market on the Upper East Side (East 86th Street) and get their boxes (6 for $10) before they run out! 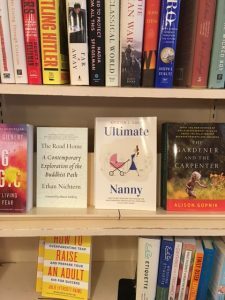 In my new book Ultimate Nanny: How to Find, Interview, and Manage the Most Important Person You Will Ever Hire – Your Child’s Nanny which is on Amazon now (by Kristen J. Duca) I help parents and guardians navigate the childcare search in an organized manner. The key to finding a great childcare provider (whether it be a nanny, sitter, or companion) for your child is to sit down and analyze your family’s foundation. There are many aspects to your family’s day to day life that you will want to consider before starting your childcare search. Taking the time to examine the composition of your family in the initial stages of your search will pay off in the end. Your child/children: Think about their ages and developmental stages. Will there needs change over time? If so, how? You/your partner: Discuss both your work and social schedules. Figure out what days and hours you actually hiring a childcare provider for right now. Think about if you have flexibility in the hours you need childcare help. Your family: Analyze your household structure and examine if you are hiring solely for childcare services. Perhaps, you need assistance with housekeeping, cooking, cleaning, pet care, and errands in addition to childcare. Layers of help: Writing down a list of emergency contacts is essential for all parents. Consider your surroundings and determine if there are capable, motivated family members or friends nearby who can help you out from time to time. UltimateMama will have a busy day on Valentine’s Day so thanks to Fairway Market in NYC for making her holiday shopping fun, cute, and easy! Check out this great heart shaped ravioli! And, who wouldn’t want some yummy dipped strawberries?! UltimateMama loves buying her two girls cute Valentine’s Day gifts that are not candy-related. It is always a nice surprise to have some new Living Royal socks, Crazy Aaron’s Thinking Putty, and Mia hair ties!